GREAT 3 BED/3 FULL BATH WITH ADDITIONAL BED/TEEN SUITE OVER GARAGE WITH PRIVATE ENTRANCE, WOULD MAKE GREAT RENTAL FOR EXTRA INCOME. 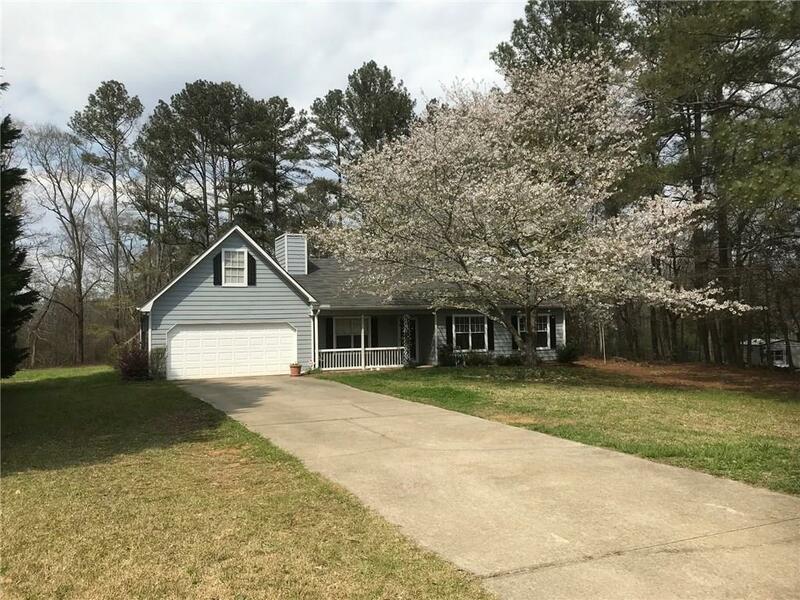 FRESHLY PAINTED AND REFURBISHED RANCH W/WOOD GRAIN LAMINATE FLOORING, FIREPLACE IN GREATROOM, LARGE LAUNDRYROOM, EAT-IN KITCHEN, TREY IN MASTER AND GARDEN TUB IN MASTER BATH. TEEN SUITE HAS KITCHENETTE, FULL BATH AND BED/LIVING AREA. BEAUTIFUL, LEVEL 1.37 ACRE LOT IN EXCELLENT LOCATION. Directions: Hwy 81 South, Left On Brookview Dr. Home On Right.